To commemorate this day, Action for Children in Conflict decided to take a deeper look into the day to day life of a street worker involved in the advocacy and the protection of the rights of the street children. Tell us, who is Joseph Rugia? I am a 27 year old professional social worker, working with Action for children in conflict (AfCiC), under the street work and outreach programme. Under this programme, AfCiC focuses on the rescue, rehabilitation, re-socialization and reintegration of street connected children, who include children both living and working in the streets. What can you tell us about the International Day for the Street Child? International Day for Street Children is celebrated every year on the 12th day of April. This day is observed to accord street connected children a voice and a platform where protection of their rights are advocated for. What can you tell us about this year’s theme for the International Day for the Street Child? This year’s theme is ‘4 steps to equality’ where governments are called upon to take the four steps towards equality for street children. These steps include: Commit to equality; protect every child; provide access to services and Create new solutions. This year theme is a wake call for communities, government and all stakeholders to work collaboratively towards realization of equal opportunities to all children regardless of the social economic background. There is need for communities to be educated on the need to embrace street children and street families as part and parcel of the society and instead of perceiving as social nuisance they should empower them to become responsible members of the society. Street children are normal its only that they are not privileged to have opportunities. What is the scope of street work under taken by Action for Children in Conflict? AfCiC is a child protection, health and development organization. The organization’s headquarters are located in Section 9, Thika town, in Kiambu County.Thus,AfCiC mainly operates within the environs of Kiambu, Murang’a, Machakos, Nairobi and Kitui County although its reach is nationwide as we intervene when we receive referrals from outside the five counties. Afcic runs two centers under the street and outreach programme; the Temporary Rescue Centre at Karibaribi and the Working Children Centre at Majengo, Thika. at the Temporary Rescue Centre (TRC) street children mainly under the age of 16 who have been rescued from the streets, are rehabilitated and provided with food, shelter, clothing anf informal and formal education for a period of one day to one and a half years before being re united with their families or taken to school. At the Working Children Center(WCC), street children and youth are provided with food and facilities where they can clean up as well as skills in basic numeracy and literacy. With the help of our dedicated staff, we also engage the children in mentorship forums where through narratives of successful rehabilitated children, we encourage participation in activities that help them acquire life skills necessary for economic independence. How would you describe a typical day in your work as a street worker? A normal working day for me starts at eight in the morning. I begin by walking in the streets of Thika, to ensure that there are no new entrants in the street. I have established a rapport with the street children so whenever there are new entrants, they refer them to me so that we can rehabilitate them. I then proceed to the Working Children Center at Majengo where I am stationed together with my colleague Wyclieff. Children start arriving at the center at around 9 O’ Clock. They first aid in cleaning the center. After that, they are engaged in activities such as bead work, photography lessons, barber lessons and simple numeracy and literary skills. 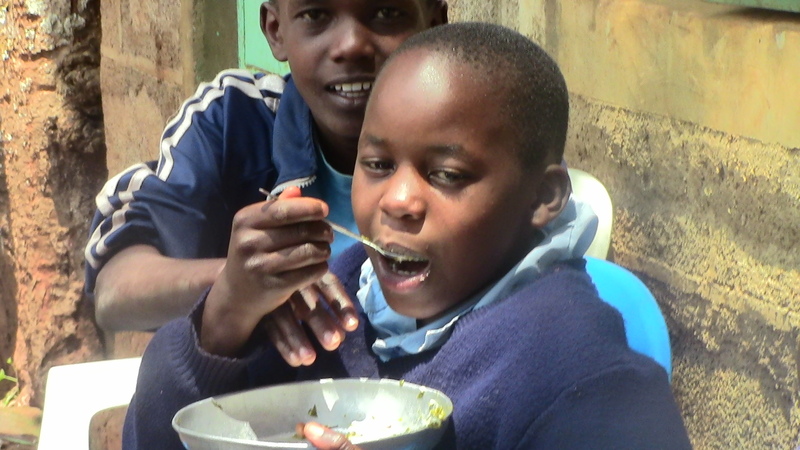 At 10 0’clock, we offer the children porridge and at lunch time, we offer them lunch. We then continue with the lessons until around 4.30 when we close the center. There are days where I am involved in field work for the whole day. 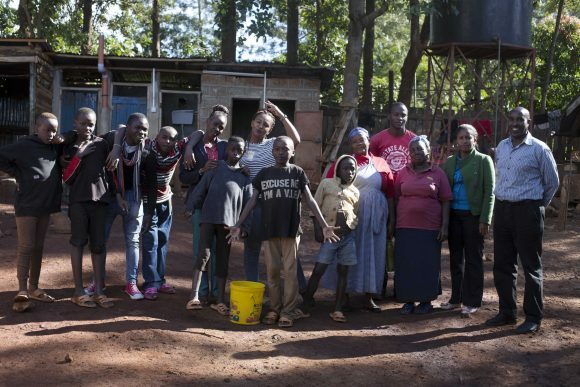 I visit various places outside of Thika town, talking to and recruiting street children. I also work hand in hand with volunteers in the organization who assist in doing the street work. 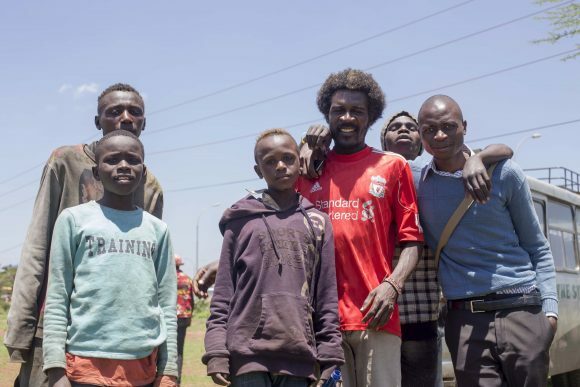 What challenges do street children face while in the streets? While in the streets, street connected children face a lot of challenges ranging from harassment by members of the public and authorities, physical, verbal and sexual abuse; stigmatisation among others. The stigmatization faced is one of the causes of street children reversion to the streets even upon successful rehabilitation. As a street worker, what challenges do you face in your work? 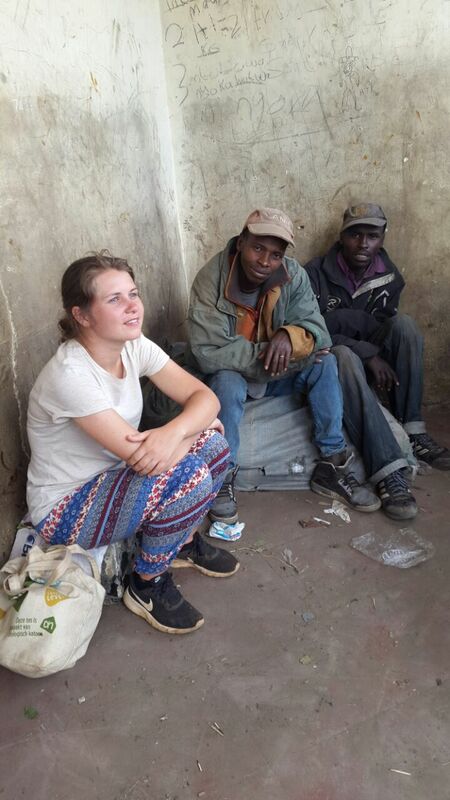 While doing street work, I encounter negative societal attitudes towards the street children. An example is, whenever I board a matatu with street children, some passengers alight or complain that the children are filthy and that they cannot travel in the same vehicles as them. Additionally, rampant drug use among the children is also a major challenge. Children as young as six years old are addicted to drugs. It therefore becomes hard to reason with them leave alone successfully rehabilitate them as they always run away to the streets in search of these drugs. With regards to the negative societal perception, I try as much as I can to educate the public on the importance of not stigmatizing these children but to appreciate the fact that they are children too who are in dire need of our help and protection. As regards the children, persistence is the key to successfully rehabilitating them. I never tire in talking to, counseling and educating these children against harmful practices such as drug abuse. And whenever they run away from the center, I go and look for them to bring them back to the center. My passion and inner conviction to serve humanity keeps me going. What do you think the government needs to do in terms of rescuing and rehabilitating street children? I think the first thing that the Government should do, both the National and County governments are to put in place more policies that govern the rescue and rehabilitation of street children, and ensure a strict adherence to them and their im plementation. Secondly, they should provide more financial support to institutions or rehabilitation centers that take in street children as many children are turned away due to lack of financial resources. They should ensure that the society at large is well educated and sensitized about the rights of the street children and their acceptance upon rehabilitation.